I still remember vividly my first supervision meeting with Headmaster, the late Mr Sebata as a new very young teacher at JZ Moyo High School in West Nicholson. It was always one of those hastily arranged meetings that habitually characterized the school meetings. Supervisions meetings were usually one to one with the school head usually as an assessment on how far a teacher would have gone with his KRAs. I adjusted my tie and took a seat opposite him and like any other new recruit, raring to go. The headmaster slowly shoved towards me a little blue file comprising a bunch of papers as I sat statically on the other side of the table. "Good morning Mr Ncube, You may have a brief perusal of those papers before we start our discussion". The horsey voice was meant to denote some authority, I presumed. He adjusted his spectacles, relocating them from off his eyes, pushing them up and finally hanging them on his big forehead, leaving one wondering why he had put them on in the first place if they could not serve the purpose which was apparently to help with the reading. I almost asked if he was short or long sighted, before realizing that it was not on the agenda for our meeting and could ultimately lead to unnecessary delays. Who would want a length boring meeting with a headmaster. Our meeting was basically a review of how learning objectives were being achieved and what sections of the curriculum needed improving, if any. I asked, and then it immediately struck in my poor mind that I actually needed to read it in order to know the answer to my otherwise silly question. Anyway the headmaster might have taken it as a rhetoric question, for he did not bother to answer. That absolutely created a naughty smile on my face. As a natural fast reader, it indeed took me a couple of minutes to read and finish the report. "Finished". I said, stretching myself and yawning from the ills of yesterday before realizing it too could be subject to interpretation or misinterpretation. "These old school headmasters." He could easily sense some lack of respect on such a behavioral trait. "Any questions?" I felt a bout of laughter on the verge but again, reminded myself of the importance of maintaining my professionalism and the staff meeting dignity. "Well, Sir, why are pupils performing so badly in these two subjects?" I asked pointing my thin finger to those two subjects. "Those are tough subjects Mr Ncube" he replied. "No, I don't believe that notion Sir" I said looking straight onto his face. He adjusted his spectacles again, this time literally wearing them as they normal would be worn, before coughing out a silent laughter. "Why do you say so Mr Ncube?" "These subjects are being failed because the teachers who teach them don't give a damn"
"Check. The constantly failed subjects are taught by teachers who come from other regions far away and they do not give a damn about whether these kids pass or not" I replied with a straight face. I did, but the statement withdrawal meant nothing compared to the strict conviction that what I was saying was pregnant with some taboo-ish and perennially hidden facts. Throughout my career as a teacher at JZ Moyo High School, I witnessed some teachers who reflected no good intentions of educating the local kids, but to either neglect or under-develop them academically. If the 2013 Ndebele Ulimi Paper One Grade 7 examination is something to go by, then I arrest my case. Check the extract below and be the jury. They say education is the most powerful weapon that can be used to change the world and whoever came up with this kind of examination for the Grade 7 kids was without any question, aware of that adage. 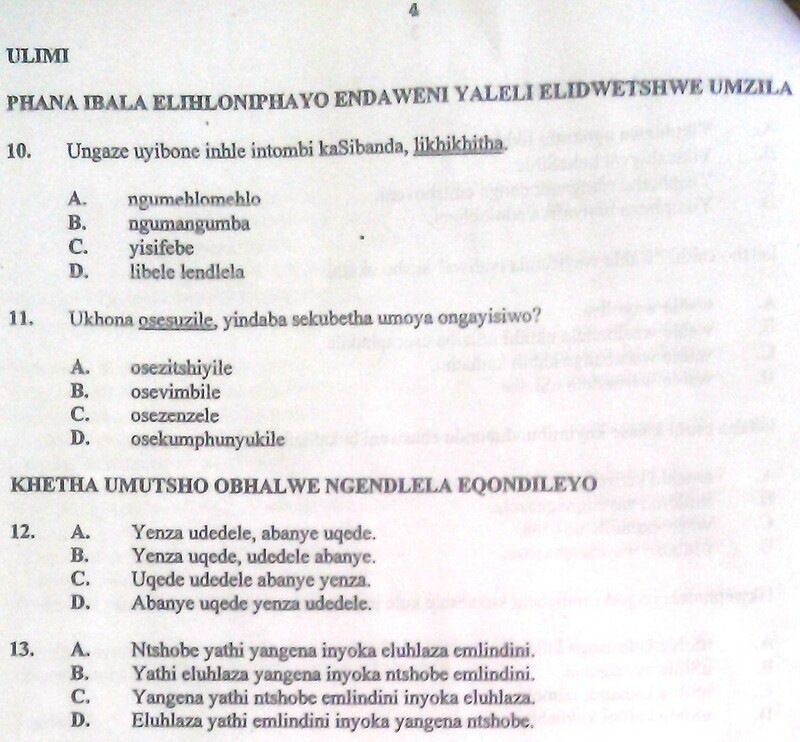 According to Esau Shingirai Nhandara DIRECTOR Zimbabwe School Examinations Council, the examination was set by "ZIMSEC's Ndebele subject specialist who supervises the question paper development, together with ten panel experts who concurred that those words are not at all obscene in the Ndebele language. To use his words, these are proper terms used in the day to day Ndebele diction. The terms isifebe, ikhikhitha, umangumba, and ibele lendlela are not at all insulting, Nhandara said. The purpose of the item referred to is meant to assess the use of proper terms to refer to different things." If Mr Nhandara has a certain level of grasp of the Ndebele language as he seem to purport, he should attempt using such words as isifebe, ikhikhitha, umangumba, ibele lendlela and umsuzo against any of his Ndebele colleagues including his team of examiners. If they cordially respond with an ear-to-ear smile, then he should not only count himself as the luckiest individual ever lived but also seek to scramble his name into the Guinness Book of records as the 8th wonder of the world. Actually a deeper analysis of the whole saga reflects some resemblance to the former Apartheid Bantu education, a system which was deliberately designed to 'train and fit' Africans for their role in the newly (1948) evolving apartheid society. In this system, Education was viewed as a part of the overall apartheid system including 'homelands', urban restrictions, pass laws and job reservation. Its main mantra was "There is no place for [the African] in the European community above the level of certain forms of labour. It is of no avail for him to receive a training which has as its aim, absorption in the European community". The system taught bad words to achieve its divide and rule agenda. Swearing was one of them, a devilish approach that gave birth to current ills like xenophobia. If an examination is a powerful tool that challenges the mind to explore more on the topic, what education is the child going to attain in learning about "Umsuzo' (Fart), except that this is a motion possessing a poisonous potential capable of leading to a serious erosion of cultural values and norms and henceforth producing a generation of angry yobbish youngmen and women who are good at nothing but vulgar and thug life? Education is not only the preparation for life; it is as John Dewey attests, also life itself. The goal of education is the advancement of knowledge and the dissemination of truth. 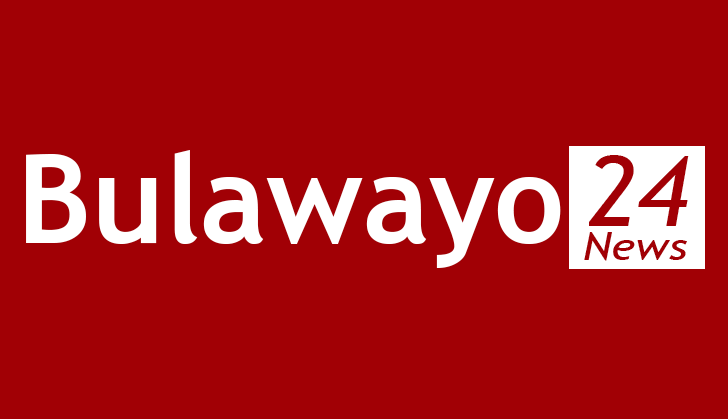 It is simply the soul of a society as it passes from one generation to another but with the provision of this form of education emphasising derogatory and culturally disgusting diction such as ikhikhitha, umangumba, isfebe and umsuzo, that can serve to impacts on a child's minds not only a culture but also a philosophy of prostitution and yobbish life. It can be perceived as serving as a means of squandering the children's talents pretty ruthlessly that any society should shun it with the scorn it deserves unless ZIMSEC perceives this generation as the future enemy of a civilized society that needs its destiny checked and controlled. If ever this is the kind of education authority at our disposal, then parents have to shift from being detached observers in matters of education and into being active participants and consultants and commence a structure of monitoring their kids' education closer than never before so nobody can control their children's destiny. This should not be perceived as resisting education but as a protest against the kind of schooling that interfere with the child's educational values. Malcolm X once noted that education is the passport to the future, for tomorrow belongs to those who prepare for it today. As Will Durant also once observed, education is the transmission of civilization. Hence vulgar, dirt and obscene language cannot be associated with civility. Diction such as isifebe, umangumba and umsuzo can only rightly be associated with the transmission of retrogress and be a symbol of a primitive mind. The ZIMSEC Ndebele Ulimi Paper One 2013 does not objectively appear to want to educate and prepare the young to educate themselves, throughout their lives, instead it struck one's mind as some kind of tool seeking to conscientize and henceforth drive a future generation to embark onto such vices as prostitution, thug and chav mentality. A man who receives mis-education will forever walks lame to the end of his life. Education should be positive to the mind of a kid. When I was at primary school my grade 7 teacher Mr Amos Mnyaka (RIP) always referred us to James 5;12 "But above all, my brothers, do not swear, either by heaven or by earth or by any other oath, but let your "yes" be yes and your "no" be no, so that you may not fall under condemnation." As a teacher and parent I will assume he was well aware that it will come a point when we were all to encounter and learn swear words, but as a responsible elder given responsibility to help us grow, he did not want our young mind to be exposed to such dirty corrosive words, while the mind was still developing a capacity to regurgitate before consuming. This ZIMSEC debate should prompt both language academics and parents to develop a deep commitment to changing how educators conceptualize and engage in curriculum, classroom management and school culture. Because if this is the current norm in the Zimbabwean Curriculum, there is an implication that institutional structure and policies must be transformed. It is true language is dynamic. For instance while Latin tried to be conservative and resisting transformation, the English language took the concept of dynamism to another level as they positively accepted and incorporated words from every other language including from Ndebele words like "impala" "dwala". But language dynamism must never entail emphasis on scatologically tasteless obscenities as its main docket; otherwise it will only be interpreted as having an absolute dubious agenda. But after all have been said and done, the ultimate tragedy would not only be the sinister deeds by the bad people but the silence over that by the good people. What transpired in this ZIMSEC Ndebele Ulimi Paper one 2013 was witnessed by all interested parties, both for and against, but as Confucius would rightly note, people should feel sorrow, but not sink under its oppression. Language and culture are intimately related. Language is determined by culture, and therefore one should never allow his culture to be determined and be internationalized by vulgarity, obscenity, profanity, indecency and absolute rudeness.